It may be the most expensive bottle of water in New York. The Islanders are selling melted ice - i.e. water - from the Nassau Coliseum's final meltdown before the Isles move to the Barclays Center in Brooklyn next season. The cost? Twenty dollars (plus shipping and handling). There's a limit of five tubes per order. The tube of melted ice comes with a certificate of authenticity assuring the buyer they're not in possession of tap water. 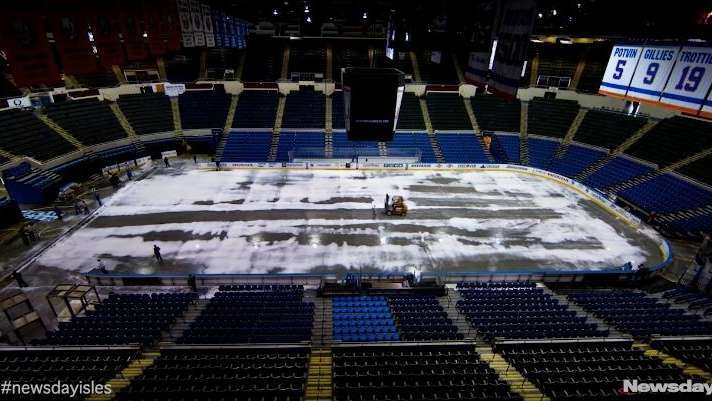 The ice was on the floor during the final Islander game played at the Coliseum on April 25 and was removed on May 5.